These are made from Plainsman Polar Ice translucent NZ porcelain. The one on the right was used in the coffee room of the plant and washed between uses in a common manner (which is: not very much!). 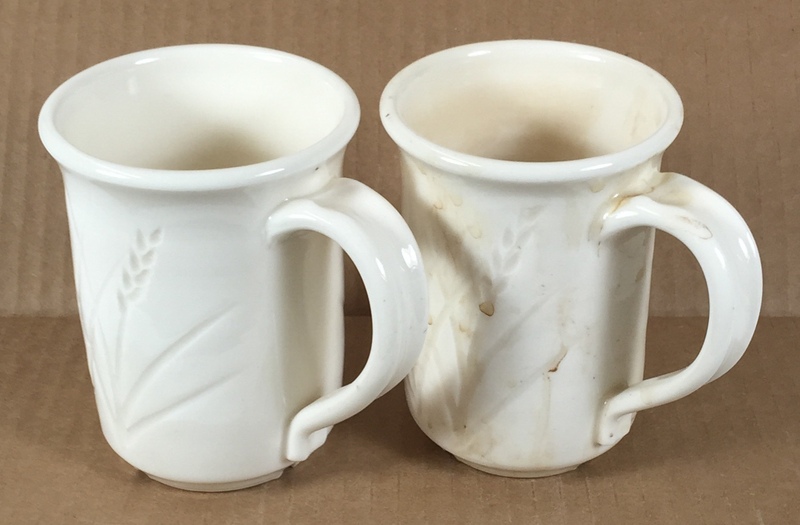 The stains are obviously not nearly as visible on a stoneware mug.